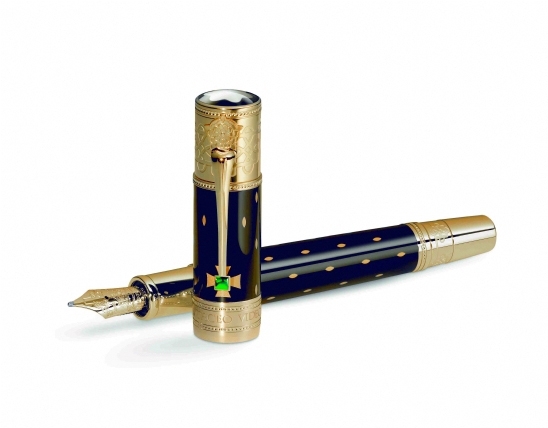 It seems very 3 or 4 years Montblanc releases a Patron fountain pen that is a feminine looking design. (Catherine The Great, Pomadour, Pope Julius) It hasn’t been since back in 1997 that Montblanc released a pen paying tribute to a female Patron of the Arts. The interesting thing about this pen is the design isn’t feminine looking even though it is paying tribute to a female Patron. Histroically sales were slow on the feminine design pens. This pen has a brighter future than those.